Well done to all the participants in the inaugural RunLiverpool Marathon 2011, what a great day it turned out to be, despite of the weather threatening heavy rain. The course started over the water in Birkenhead Park, through Wallasey and New Brighton until it hit the sea front promenade, before going through the Queensway Tunnel. I was positioned at the tunnel exit near Pierhead at the 13 mile marker and it was wonderful seeing the relief of the runners as they completed the climb and back on to the flat in Liverpool city centre. 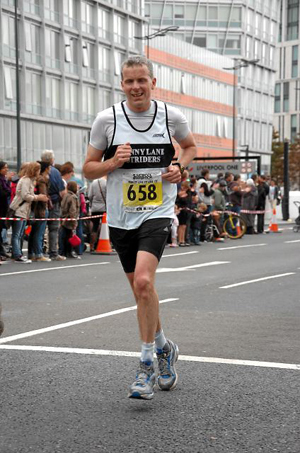 Later I moved to the finish line just over the road at Mann Island and it was a super atmosphere with a large crowd cheering home everyone. For details on next year's event check their website http://www.runliverpoolmarathon.co.uk , if you've arrived here looking to buy images, please check http://www.marathonfoto.com. Finally, if you need an experienced events photographer, please give me a call or send a message and I will get back to you.